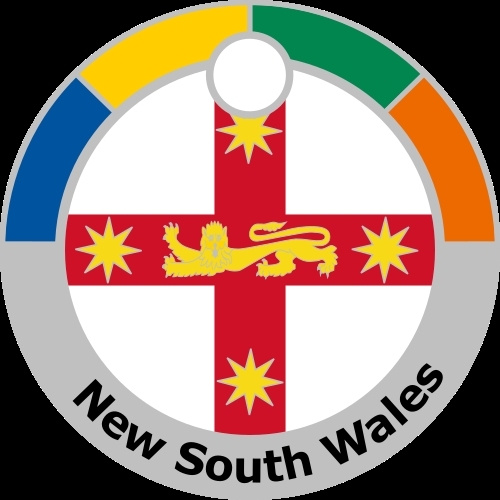 Number 2 in a set of 8 Australian State Badges to be released in 2018. 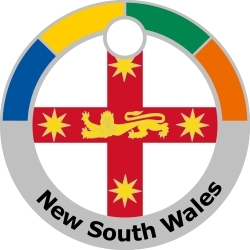 Featuring the state badge of New South Wales. The badge was adopted on 15 February 1876. It consists of a red St. George's Cross bearing four 8-pointed golden stars and a lion passant guardant. There is no contemporary explanation of the design but it was similar to an unofficial coat of arms that dates from 1821 and included the cross and stars. The lion was likely to signify the vice-regal authority of the Governor.